First, it’s simple. You walk into a coffee shop and instead of buying just one cup of coffee, you buy two, or more. You buy one for yourself and one for someone in need. Second, it’s direct. You do not need to worry if your money is going to actually help someone or just to take care of a charity organization and it’s overhead and expenses. You also do not need to worry whether or not your recipient will use your gift to buy alcohol or drugs. You can directly control which food or beverage you would like to donate. Third, it’s win-win. You not only support a person in need, you also support your local business and all it’s employees. Your money does not go to another state, country or continent. It stays right in the neighborhood where it was spent. This is an amazing way of helping! They are currently working on a database for their website of participating cafes and restaurants. To be able to afford this website they are selling merchandise with their logo on it. 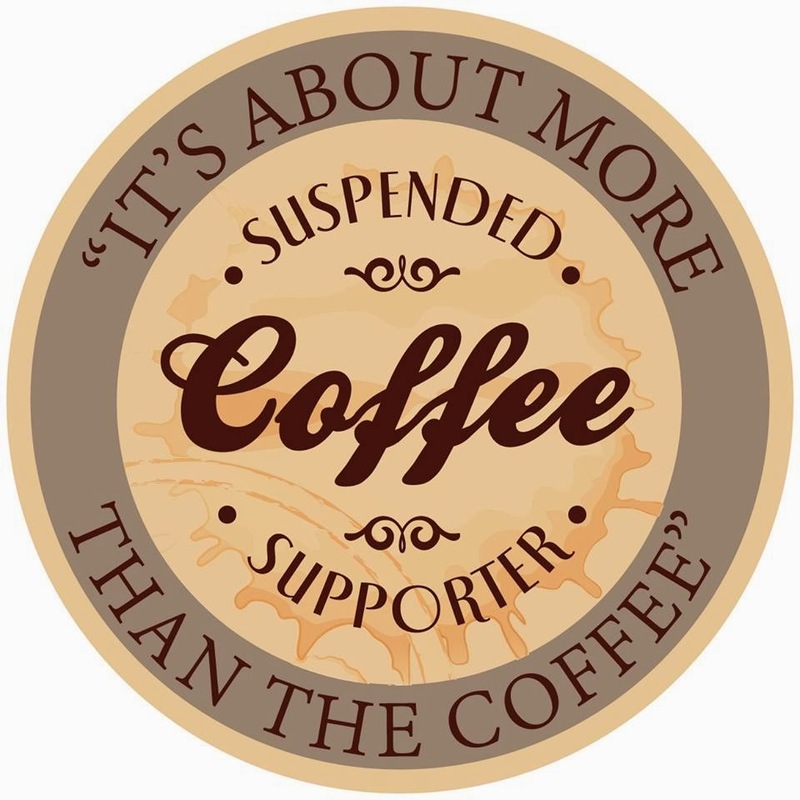 If you would like to support this website you can get more information on their Facebook https://www.facebook.com/SuspendedCoffeess. They have many beautiful and touching stories posted. I encourage you to share this page, like this page, and order merchandise to help get them up and running. I can't wait to find a place near me that participates! If you know some one that has a cafe or restaurant please encourage them to participate as well.